It doesn't make sense to continue living with malfunctioning appliances. It can be easy to forget just how essential routine maintenance is to all of your household appliances. If you have been putting off having regular maintenance performed on your major appliances, schedule an appointment today. 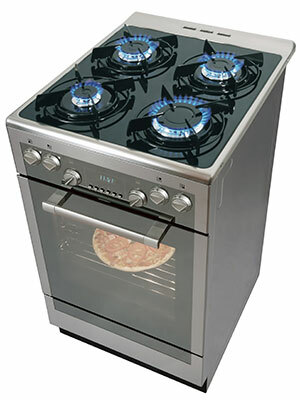 We can locate all the necessary parts to complete your stove repair in Richmond CA. We have been in the neighborhood for quite some time. So why not invite us over today? We'd be delighted to help make your household function more smoothly. We have years of experience in detecting, executing, and resolving these types of major appliance repair issues. If you're looking for the best quality stove repair in Richmond CA, look no further. Are you having trouble with getting the surface elements on your stove to work? It's possible that this issue is due to something as simple as a burnt or loose wire. You can spot the wires connecting to the respective element and look closely to see if there is any visible damage. It's usually not hard to tell if any of the wires have been burnt. You can also look at where they connect to see if they are not plugged in properly. If they are burnt, though, they will need to be replaced. Other parts may have issues too.